Micro-piles are piles molded on the spot to serve as deep foundations and highly tensioned stress along the shaft, composed of sand and cement mortar and thoroughly reinforced throughout its length. 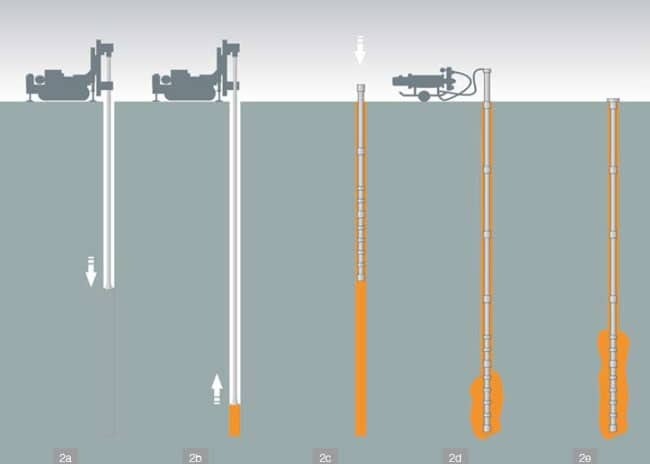 Micro-piles are employed in highly compact or consistent ground or in the ground where bedrock or rocky formations are found, in which excavating may only take place with the use of rotating hydraulic drills. They may be placed in an inclined position. Micro-piles are also known as pin piles, needle piles, and root piles. The micro-pile casing generally has a diameter in the range of 3 to 10 inches. Typically, the casing is advanced to the design depth using a drilling technique. The finished micro-pile resists compressive, uplift or tension, and lateral loads. Allowable micro-pile compressive capacities of more than 500 tons can be been achieved. Micro-piles are installed into the ground in sets at different angles to reinforce a mass of soil; primarily compression elements, their usual purpose is to improve bearing capacity, but micro-piles can be constructed for tension and for a limited amount of bending. 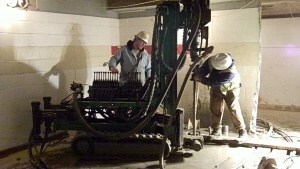 Drilling, placing reinforcing steel and grouting, which bonds to the soil. The pile integrates completely with the soil. In a single step, the piles are drilled, grouted and injected using the hollow bars as drill rods and grouting ducts along with disposable special drill bits and rotary drilling methods. These drill bits have jet openings which allows for pressure grout penetration while drilling process is carried out into the soil. 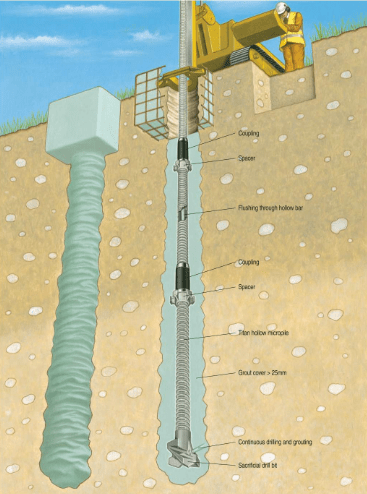 When the drill is penetrating the soil and grout injection is also simultaneously takin place through the hollow bars, the drill cuttings are continuously flushed by cement grout with the help of a flushing head. When the drill hole is stabilizing, the ground cannot cave around the drill location which acts as an advantage. And the soil around the area is being penetrated by the grout causing it to densify. 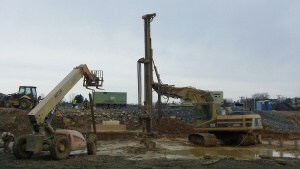 The drilling and installation equipment used for micro-piles does not produce an amount of vibration that would be harmful to structures as opposed to driven piles which can produce magnitudes of vibration that have the potential for causing settlement of adjacent structures resulting in structural damage. For this reason micro-piles are well suited for use in close proximity to existing structures. Micro-piles are ideal for retrofit applications in that they can easily be installed through a core drilled hole in an existing foundation or footing and anchored to the existing foundation for load transfer.